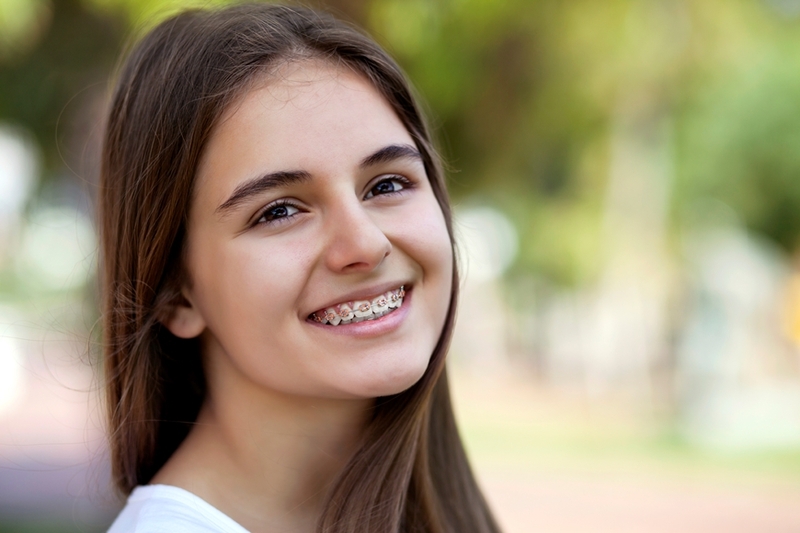 When you get braces, your cleaning routine will have to change slightly. Whether you choose Invisalign or something more traditional, having orthodontics placed on your teeth means you have to be a bit more careful with how you care for your pearly whites. Brushing should take time, even without braces. This is your primary form of cleaning and ensuring you brush carefully and precisely will keep your teeth healthy and free from plaque. It is vital to brush with fluoride toothpaste, also using an interdental brush morning and night is very important, as it does 40% of the cleaning while you are in treatment with braces. Again, you should already be doing this, but it is even more important when braces come into play. Flossing is a little different with braces, just thread the floss under or over the wire to then pull the floss to the gum. Some foods and drinks will have to be avoided while in treatment. The worst things you can eat while you have braces are hard, sticky sweets or large, tough foods. If it can’t be cut into smaller pieces, try not to have it. The same goes for sugary and acidic drinks. While in treatment it is important to keep all appointments with your orthodontist. It is also important to continue seeing your general dentist every 6-12 months to have a check-up and clean. If the braces are causing discomfort to your cheeks or lips, using wax is great way to help avoid mouth ulcers. Simply dry the area with a tissue beforehand then place a small piece of wax over the bracket that is rubbing, this will allow the area time to heal. You won’t find orthodontic wax in the supermarket but ethos has a never ending supply, so don’t hesitate to call and ask for the wax to be posted to you. If you need more advice or help with keeping yours or your child’s orthodontic appliance clean, get in touch with ethos today. Next PostIs Lemon Water In The Morning Bad For My Teeth?